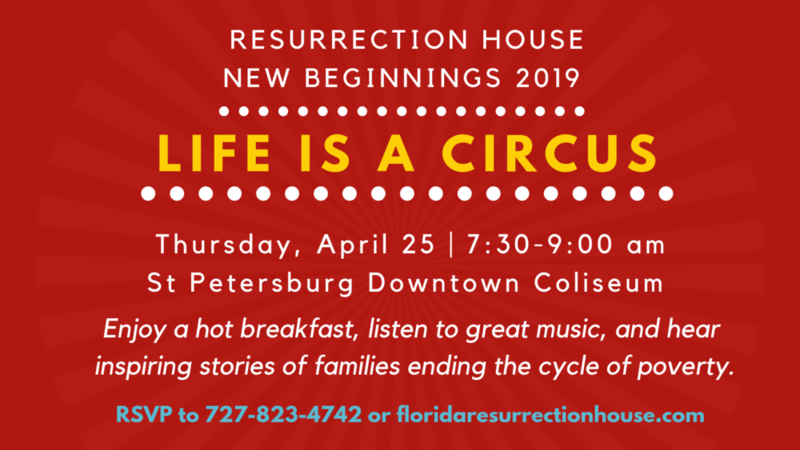 Since 1987, Florida Resurrection House, Inc. has been dedicated to providing an environment where families with minor children can rebuild their lives and work toward self-sufficiency. This breakfast celebrates Resurrection House's 80% success rate over the years in ending the cycle of poverty & despair faced by homeless & working-poor families with minor children. Join us to hear exciting and inspiring stories, great music, and a delicious, hot breakfast!